One of the reasons I purchased Technic Lego® for my kids to my kids is that there is a bigger challenge for them to finish the complete build of the different sets, compared to the original build sets. I also think that the fun part is the reproduction of the advanced, realistic technical functions of the beams and plates, gears, axles, connectors and special parts, wheels and tires and so on. I am for anything that let kids learn through play since I believe that is the best way to explore new things and find new fields of interest. The fact that Lego® manage to reproduce realistic technical functions in their Technic series sets, helps both kids to learn by creative play and give their parents an opportunity to discuss it in detail with them. Here follows my LEGO Technic Volvo EW160E 42053 Construction Toy Review. (Note: Several of the links in this post are affiliate links for amazon.com, and I will be compensated when you make a purchase by clicking on the links. Read my disclosure policy here). Since I am Swedish, I felt I had to take a look at this particular set. For you that don’t know, Volvo is from Sweden. This particular set is really interesting since it was developed in partnership with Volvo Construction Equipment, which resulted in this detailed replica of the Volvo EW160E. The set was launched in 2016. If your kid likes big machines, this toy is a must. 😉 This set is for kids between ages 10-16 (or why not older!). 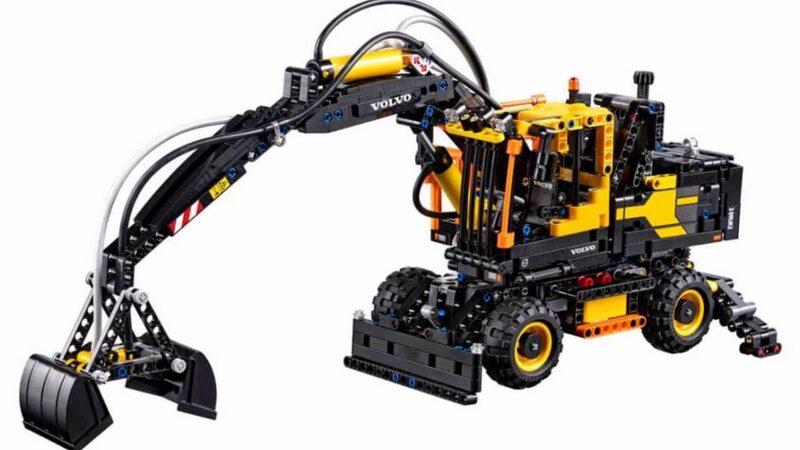 One thing is for sure, your kids will get a rewarding building experience with this 2-in-1 LEGO® Technic model, and its classic yellow and black color scheme, which has all the features of the real-life wheeled excavator. The versatile pneumatic boom and grabbing bucket can be operated, the massive superstructure rotated and the cab elevated for optimal visibility. For extra stability, it is possible to extend and secure the outriggers, lower the front blade and lift the entire structure into the air! The authenticity of this model is fantastic, right down to the detailed cab with seat, armrests, sun visor and adjustable mirrors. To get a fully motorized boom and working lights, just add the LEGO Power Functions 8293 motor set (not supplied). Real authentic yellow and black color scheme. The pneumatic boom is extendable, possible to raise and lower. You can open and close the pneumatic bucket. Why not raise the cab to dizzying heights! You can extend the outriggers, lock them into position, lower the front blade and lift the entire structure into the air. If this set is upgraded with the 8293 LEGO® Power Functions motor set (not included), then you can get a fully motorized boom and working lights. This set includes 1,166 pieces. This set offers an age-appropriate building experience for ages 10-16, or why not older!. The 2-in-1 model: rebuilds into a Volvo L30G. Volvo EW160E with boom and outriggers retracted measures over 6″ (17cm) high, 9″ (25cm) long and 4″ (12cm) wide, and over 11″ (29cm) high, 18″ (47cm) long and 7″ (18cm) wide with boom and outriggers extended. Volvo L30G with bucket lowered measures over 6″ (17cm) high, 13″ (34cm) long and 5″ (13cm) wide, and over 10″ (26cm) high with the bucket raised. When your kids feel like another building challenge, they can rebuild it into the heavy-duty Volvo L30G compact material handler. At amazon.com, for the time being (November 2017), this set has 22 reviews. Everyone has given it five stars! At Lego’s own homepage the overall rating is 4.8 (out of 5). It is an excellent way to teach kids to think in three dimensions by creative play. Kids learn how to work with instructions. If you skip something, then the result will not be as expected. Almost instant feedback. It is a fantastic way to develop your kid’s skills when it comes to problem-solving, organization, and planning by construction. 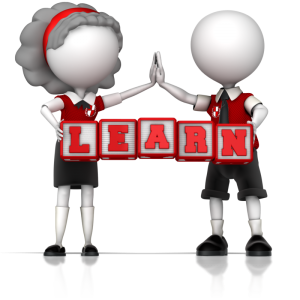 It is a tool to enhance their communication and critical thinking. It is a good way to improve their creativity. Kids motor development gets a boost. It is a good tool to practice patience. The sets cost quite a lot. (Even though I say, you get what you pay for, a good quality toy). Your kids might lose their patience. A bazillion little pieces everywhere to keep track of. LEGO® Technic is an excellent way to teach kids to think in three dimensions by creative play. Kids learn how to work with instructions. If you skip something, then the result will not be as expected. The builders will get feedback almost instantly. The set is a fantastic way to develop your kid’s skills when it comes to problem-solving, organization, and planning by construction. It is a tool to enhance their communication and critical thinking. It is a good way to improve their creativity. Kids motor development gets a boost and it is a good tool to practice patience. 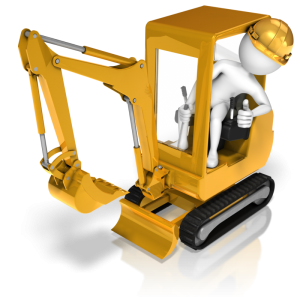 LEGO® Technic is not immediately intuitive, and require the builder to think several steps ahead. The sets cost quite a lot, even though I say, you get what you pay for, a good quality toy. Your kids might lose their patience. There will be a bazillion little pieces everywhere to keep track of, but that is also an opportunity for your kids to learn how to handle that. One thing is for sure, your kids will get a rewarding building experience with this 2-in-1 LEGO® Technic model, which has all the features of the real-life wheeled excavator. 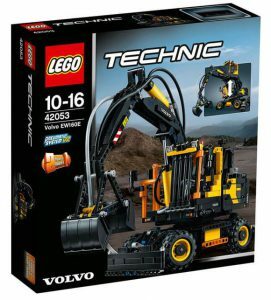 Go and get your own LEGO Technic Volvo EW160E 42053 Construction Toy . Have any comments about this product? Just, leave me a comment below, and I will get back to you as soon as I can. Hi Marika. I don’t have any kids of my own yet, but I do work with kids and I always feel like I hit the jackpot when I find something that’s fun but also teaches! It reminds me of the days when I used to play Legos, and also when I learned how to program robotics. I’ll definitely consider getting some of these for the kids in my life to get them into building and problem solving. Thank you so much for this review! Hi Liza! I think that is what is great about Lego. You don’t need to be a kid or have kids to enjoy the progress of building with it. This is a really incredible, elaborate toy. I think I need to get one for my niece, since she’s fascinated with how things work. Nothing quite beats having them build a machine from scratch, but with the familiar and toy-like medium of leggos! I think it will be an excellent gift and my guess is that your niece will love it. I know both my kids do.